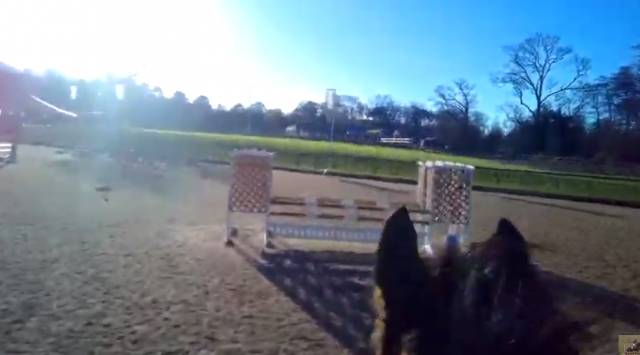 The equestrian world is largely comprised of two groups: those who travel south for the winter, and those who stare longingly at the social media posts of the former. I, unfortunately, am one of the latter, and while my gaze may be filled with envy as I scroll through Instagram feed of those (snow) drift dodgers, I want you to know there are no hard feelings. Seriously. I am truly happy for the good fortune that has placed you in sunny, horsey paradise and love living vicariously through you as I shiver in the cold and slog through knee-deep mud. I’m not mad. I promise. But, for real my equestrian snowbirds, those social media posts from the sunny south keep me going this time of year, so please keep them coming. Please! If you, like me, are in need of some horse-infused sunshine, check out this awesome pair cruising around a Wellington show jumping course.